KraftRecipes.com and AllRecipes.com both provide recipes that include shrimp and cream cheese. Both recipes require under 10 minutes of preparation time and are accompanied by reviews from users who prepared the recipes. The recipe provided by KraftRecipes.com includes 8 ounces of softened cream cheese, 3/4 of a pound of chopped, cooked and cleaned shrimp, 3/4 cup of cocktail sauce, 1/4 cup of shredded Parmesan cheese and 2 sliced green onions. After the cream cheese softens, spread it in the bottom of a bowl. Combine the shrimp and cocktail sauce, then pour the mixture on top of the cream cheese. Sprinkle with chopped green onions and Parmesan cheese. Serve with dish with crackers. The recipe at AllRecipes.com includes 8 ounces of softened cream cheese, 4 1/2 ounces of drained, canned shrimp and 8 ounces of cocktail sauce. Place the cream cheese in a dish. Combine the canned shrimp and cocktail sauce. 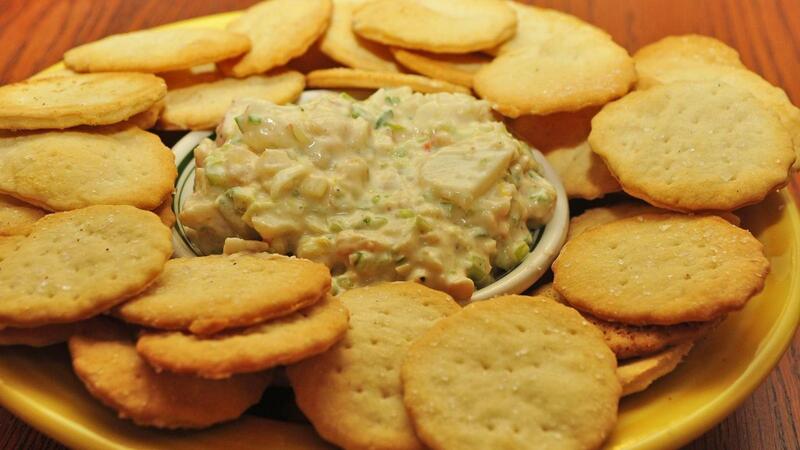 Pour the shrimp over the cream cheese and serve the dish with crackers.